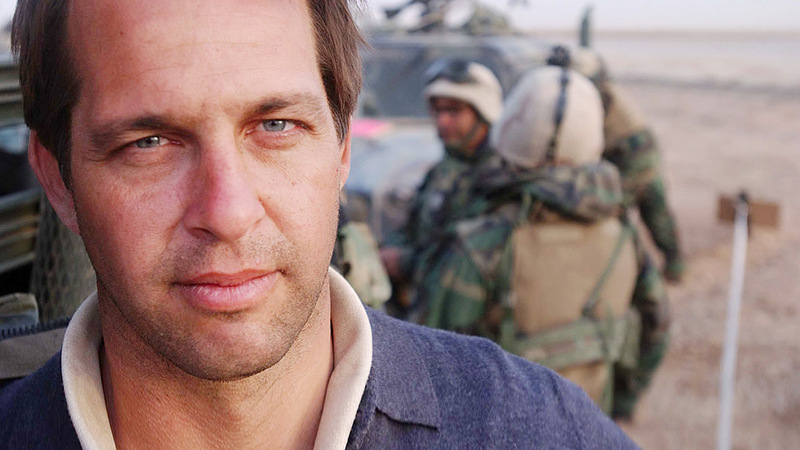 Dexter Filkins is a Pulitzer Prize-winning foreign correspondent who has covered the wars in Afghanistan and Iraq since 2001. Author of the award-winning novel The Forever War and a frequent contributor to The New Yorker, Filkins engages audiences with tales of reporting from the front lines. Dexter Filkins joined The New Yorker as a staff writer in 2011. He has written about the murder of a journalist in Pakistan, the uprisings in Yemen, the war in Afghanistan, the crises in Syria and Lebanon, the Prime Minister of Turkey, and a troubled Iraq war veteran who tracked down the surviving members of a family his unit had opened fire on. Filkins worked at the Miami Herald and the Los Angeles Times, where he was the paper’s New Delhi bureau chief, before joining the New York Times, in 2000, reporting from New York, South Asia, and Iraq, where he was based from 2003 to 2006. In 2009, he won a Pulitzer Prize as part of a team of Times journalists covering Pakistan and Afghanistan. In 2006-07, he was a Nieman Fellow at Harvard University and, from 2007 to 2008, a fellow at the Carr Center for Human Rights Policy at Harvard’s Kennedy School of Government. He has received numerous prizes, including two George Polk Awards and three Overseas Press Club Awards. Filkins’s debut work of nonfiction, The Forever War, shows the remarkable chain of events that began with the rise of the Taliban in the 1990s, continued with the attacks of September 11, 2001, and moved on to the wars in Afghanistan and Iraq. Filkins’s narrative moves across a vast and various landscape of amazing characters and astonishing scenes: deserts, mountains, and streets of carnage; a public amputation performed by Taliban; children frolicking in minefields; skies streaked white by the contrails of B-52s; a night’s sleep in the rubble of Ground Zero. Like no other book, The Forever War allows us a visceral understanding of today’s battlefields and of the experiences of the people on the ground, warriors and civilians alike. It is a brilliant, fearless work, not just about America’s wars after 9/11, but ultimately about the nature of war itself. The Forever War won the National Book Critics Circle Award for Best Nonfiction Book and was named a best book of the year by The New York Times, The Washington Post, Time, and The Boston Globe. Riveting is the word that best describes the Dexter Filkins lecture and accompanying slide presentation. Our Florida International University journalism students were transfixed by his visuals of soldiers in battle and his stories about the choices a war correspondent has to make to get the job done and to stay alive while doing so. It was an experience they will never forget. Stunning. . . . This unforgettable narrative represents . . . a haunting spiritual witness that will make this volume a part of this awful war's history.